Understand how diet impacts your health with NUTRITION THROUGH THE LIFE CYCLE, Sixth Edition! Based on the latest research available, this text explores the many ways nutrition impacts your growth, development, and normal functioning as you progress through each stage of life, along with some common ailments that can result from nutritional deficits. Packed with current research and resources to help you build your knowledge base, the text alternates between "normal" nutrition and clinical applications, to address each life stage completely. 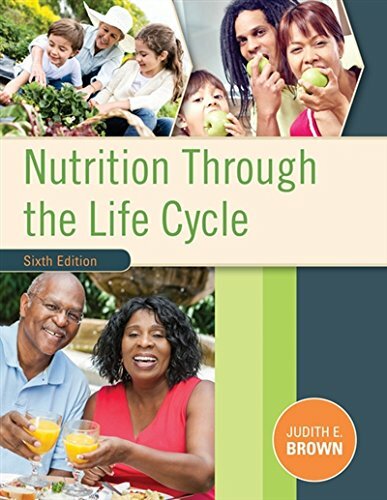 NUTRITION THROUGH THE LIFE CYCLE, Sixth Edition also shares insights of expert authors -- from registered dietitians and other clinical professionals to teachers and researchers -- to help you grasp major concepts and see the truly critical role of nutrition in human health today. Available with InfoTrac Student Collections http://gocengage.com/infotrac. If you have any questions about this product by Wadsworth Pub Co, contact us by completing and submitting the form below. If you are looking for a specif part number, please include it with your message.